This Divyadesam is a collection of 3 temples each within a distance of about one mile. 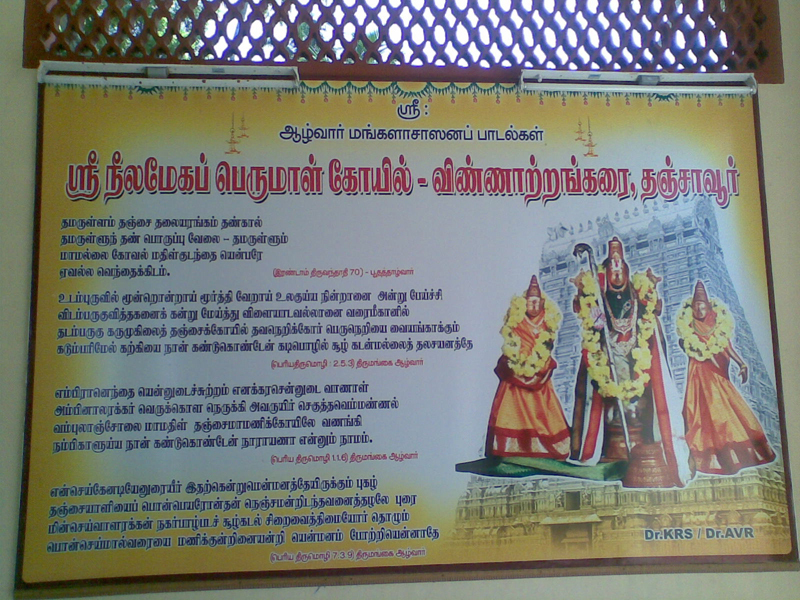 All the Three Perumals are in sitting posture and all the Three Utsavars are named as "Sriman Narayanan" only. 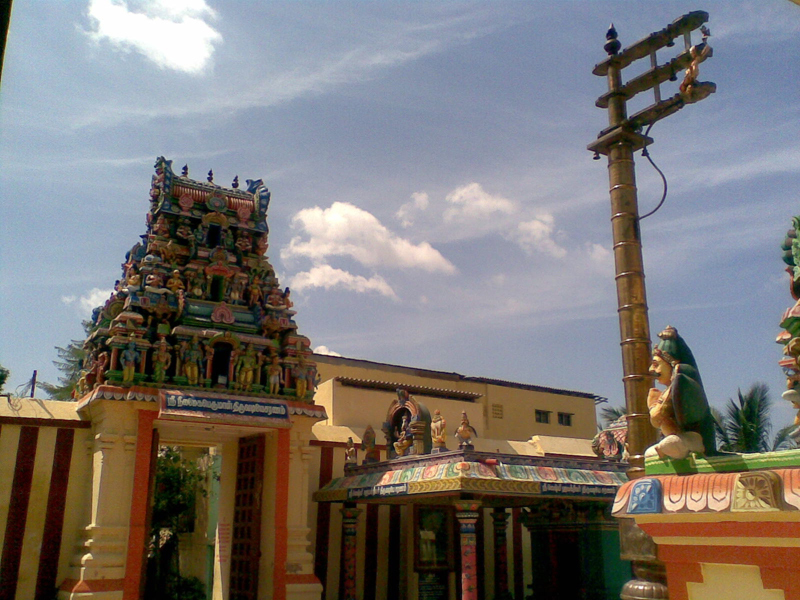 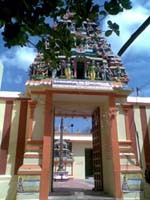 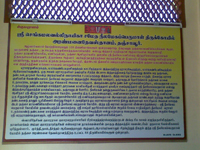 The above 3 Temples are Thanjai Maamani Koil, Thanjai Manikundra Perumal Koil, Thanjai Yazhinagar Koil. 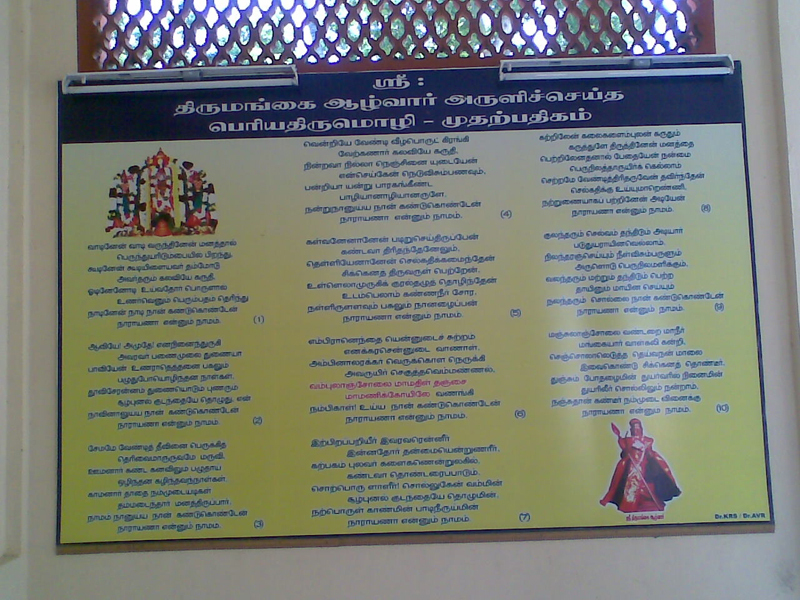 Moolavar: The Moolavar of this sthalam is Sri Neelamega Perumal. 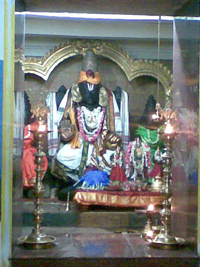 The Moolavar is giving his seva in Sitting position facing his thirumugham towards east direction. 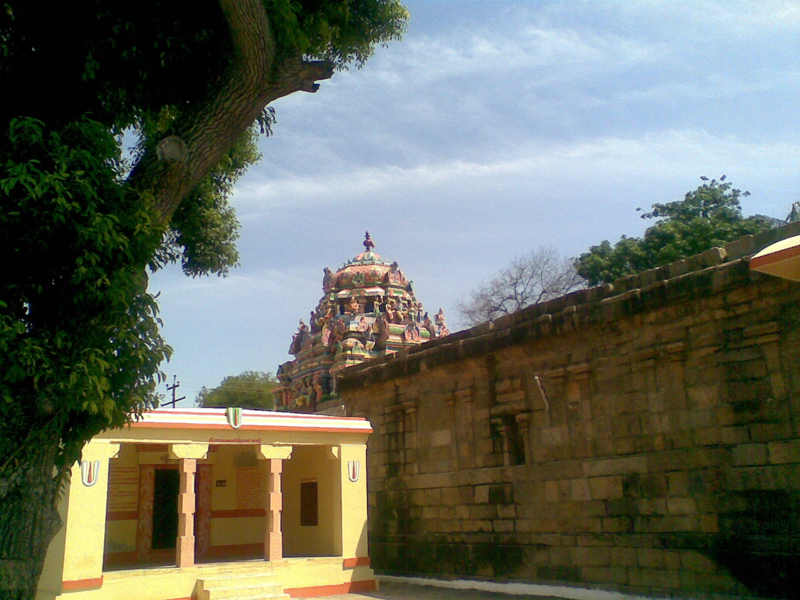 Prathyaksham for Parasara Maharishi. 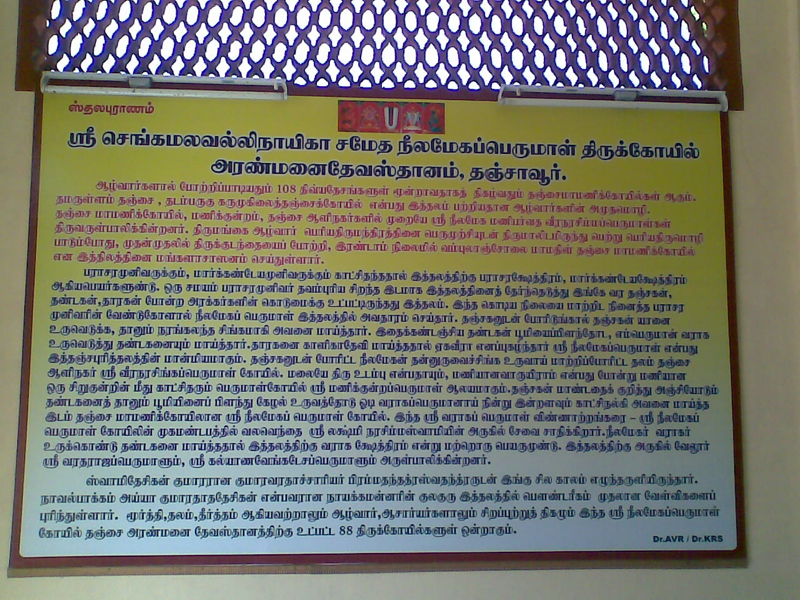 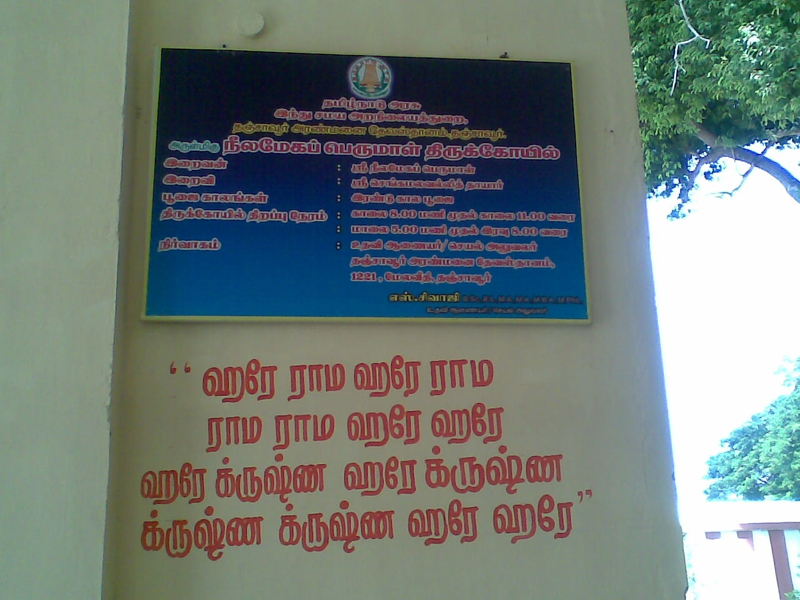 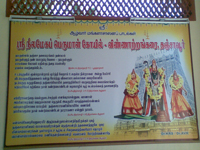 The Thayaar found in this sthalam is Senkamalavalli. 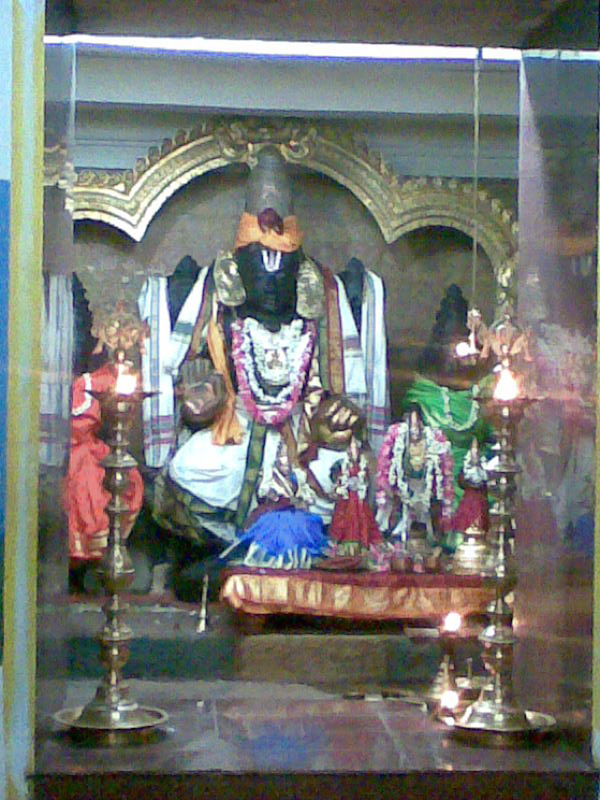 Pushkarani: Amirtha Theertham, Kannika Pushkarani, Vennaru.